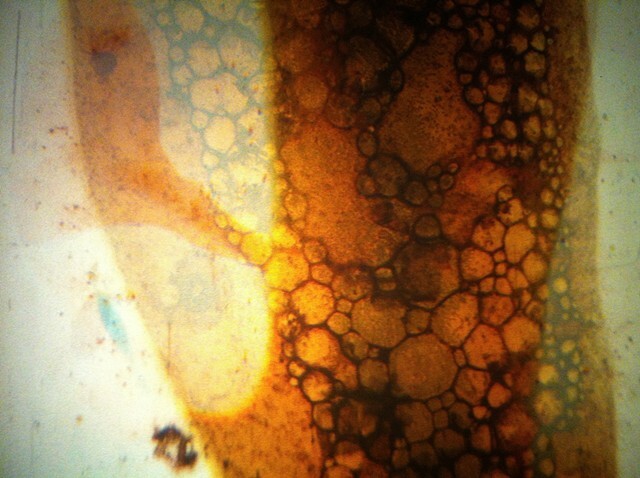 Stains of the body are hosted by film material as it absorbs and holds juices and fluids in its gelatin surface. The trace of the body as it is joined to film generates its own distinctive patterns, as physical pulses and flows sync to the machine beat. In this interplay of technique and desire, processes of reversibility are observed, as film is made more physical while the human body moves mechanically.